Osteoporosis is a common disease of the bones. It affects millions of people every year. It weakens the bones making them more prone to fractures. It is usually referred to as a silent disease since it doesn’t show any signs or symptoms initially. 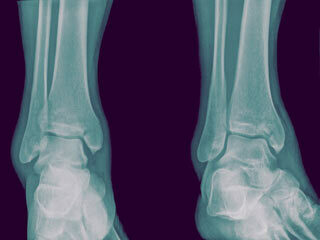 The condition is diagnosed during a visit to the hospital for a treatment of injuries or fractures in bones. It is such that the patient loses bones without even realizing until a strain, bump or fall causes a bone to break and the doctor diagnoses the condition. The most common fractures include those of the wrist, hip and spine. The condition can cause a great deal of suffering; it reduces the person's ability to move around, especially when the fracture involves the hip. 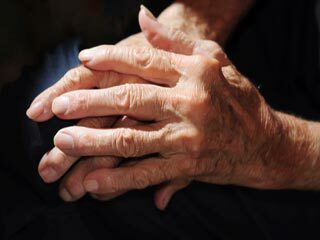 Osteoporosis doesn't cause any symptoms and develops slowly over several years. There are usually no warnings signs. The doctors usually proactively check for the condition in older people with fractures. The condition is confirmed through tests such as x-ray. In older people, a fractured bone caused by osteoporosis can be serious and result in long-term disability. Although there are no specific symptoms, some older people may develop a characteristic stooping caused by fractured spinal bone. Age is the biggest cause of osteoporosis. The body breaks down old bones and replaces them with new ones, but after the age of 30, that changes. The body starts breaking down bones at a much faster rate than it replaces it. Heredity is another factor that might up the risk of osteoporosis. A family history of fractures, body build and ethnicity can have a role to play in increasing the risk of osteoporosis. Estrogen, the hormone that helps regulate a woman’s reproductive cycle, is also believed to plays a role in keeping human bones strong and healthy. While women have more estrogen than men before menopause, the estrogen production drops significantly due to menopause, increasing the bone loss and thereby the risk of developing osteoporosis. Excessive consumption of alcohol can increases the loss of calcium in the body. Especially when you are tipsy, the risk of getting a fracture also increases which can be dangerous for someone with osteoporosis. People who follow a sedentary lifestyle or have a condition where they can’t move a lot are more at risk of developing osteoporosis. To prevent these diseases from happening, it is important that everyone must exercise and do some kind of physical activity to stay fit and healthy. A person can also develop osteoporosis if already suffer from hyperthyroidism. A broken bone can cause severe pain and disability, which in turn can severely affect your life. Your daily tasks like walking can become harder to do. There are certain controllable triggers that can accelerate bone mass loss and cause osteoporosis. The prognosis for patients with osteoporosis depends on the bone which has been fractured. Also, when the treatment is started as soon as the bone disease is detected the results are better. Hip fractures can be dangerous for elderly people. Around 20 per cent of the people who experience hip fracture die within one year. Only one-third of hip fracture patients are able to regain their lost function after the fracture. People under the age of 50 years require enough calcium each day to maintain bone strength and treat osteoporosis. Consult your healthcare provider for the adjustment in calcium intake as it has to be higher, depending on the degree of boneless. If there is an underlying medical condition that is your osteoporosis, address the problem as soon as possible. If you suffer from hormonal imbalance then you can also opt for hormone replacement therapy which can help you improve bone health. 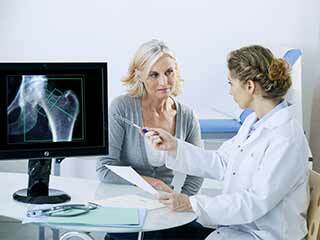 Careful monitoring of your bone strength and loss can help treat osteoporosis or improve bone strength and health. 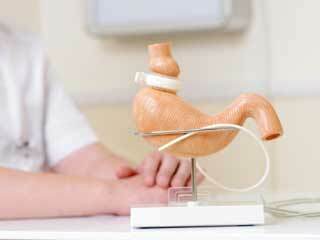 Monitor it with X-rays, bone mineral density tests, blood tests and other medical tests. If left untreated or neglected, osteoporosis can lead to broken bones and permanent disability. Exercise, at any age, helps in building and maintaining bone density. Osteoporosis can be prevented by a combination of certain nutrients (calcium and vitamin D) from a well-balanced diet and a regular exercise regime started early in life. Weight bearing exercises stimulate bone formation and retain calcium in the bones that bear the load. During weight bearing exercises, the force of muscles pulling against bones stimulate the bone building process thus strengthening that bone. It is important to note that bone strengthening is site specific, that is if you weight trains your legs, the bones of the legs only will strengthen and if you load your upper body with weight exercises, you will strengthen the related bones only. But before you indulge in any kind of exercise, it is important to consult a health care provider to avoid any complications. Weight bearing exercises are the most effective in the treatment of osteoporosis but certain exercises may be harmful in advanced osteoporosis. Osteoporosis is a condition that causes bones to become very weak and fragile so much that they are at an increased risk of fractures from minor falls or injuries. There are no signs or symptoms of the condition and it is usually diagnosed only after an injury. There are two main types of osteoporosis - primary and secondary. Primary osteoporosis is usually age-related while secondary osteoporosis is related to lifestyle behaviors, diseases, or medications. A new study on the denosumab, a drug to treat postmenopausal osteoporosis, demonstrated reassuring information about all of its safety concerns, that include the short-term and long-term safety. Medical science has made it possible for women to imagine the impossible. A bone-strengthening drug, better breast cancer screenings and many more advances like such have affected women’s health directly. Read on to learn more about these breakthroughs. Osteoporosis is a systemic skeletal disease which is characterised by low bone mass and deterioration of bone tissue. It tends to increase the fragility of bones. Celiac disease, also referred to as sprue or celiac sprue, is an inherited intestinal disorder in which the body cannot tolerate gluten. What is the link between Lactose Intolerance and Osteoporosis? Lactose intolerance is commonly related to osteoporosis, although there is no conclusive evidence to back the claim. However, not getting enough calcium in diet is one of the risk factors for osteoporosis. What is the link between Osteoporosis and Breast Cancer? Women who have had breast cancer treatment may be at an increased risk for osteoporosis and fracture. Know the reason why breast cancer could be a cause for bone loss. The Crohn’s and Colitis Foundation of America reports that 30 to 60 percent of people with Inflammatory Bowel Disease may have low bone density, which puts them at significant risk for osteoporosis.